The tournament will take place on Saturday, March 21, 2020, in Davidson, NC. Registration begins at 7:30AM and play starts at 9:00AM. 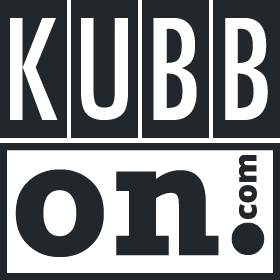 Once all field Kubbs are raised the offensive team may choose to remove the center pin while throwing batons. NOTE: All pins must be replaced after the turn is over. There will be 7 qualifying rounds of single games each having a 25 minute time limit using the "Klassic Format". After that the top 8 teams will be seeded in the championship bracket, the next 24 teams (9-32) will be seeded in the Silver bracket. All teams that enter are guaranteed to play 8 games. 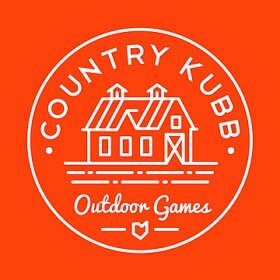 The tournament will be played with Country Kubb kubb sets. 12:00 - Lunch Break - BBQ lunch will be available on site. Awards will be given to the top 3 finishers in the Championship Bracket and the Silver Bracket. Comfort Suites Lake Norman, Huntersville 10 minutes from the tournament site. Best Western Plus Huntersville Inn & Suites 10 mins from the tournament site. NOTE: Food and beverages are permitted. East Coast Kubb Championship is played rain or shine. Play may be delayed for severe weather but please be prepared for all conditions. Queen City Kubb / ECKC can help provide coolers, chairs, and tent space for teams flying to North Carolina for this event.